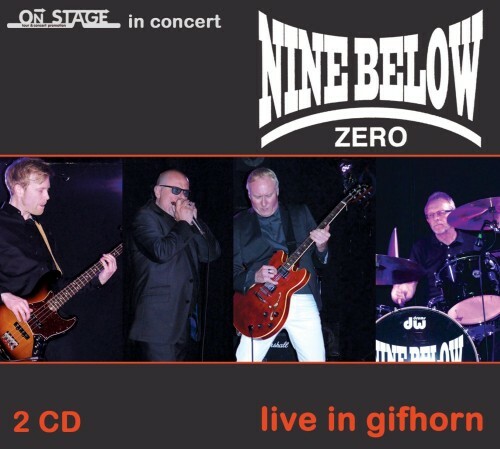 Sireena Entertainment GmbH & Co. KG: Article Detail List NINE BELOW ZERO "Live in Gifhorn"
NINE BELOW ZERO "Live in Gifhorn"
Seit nunmehr fast vierzig Jahren begeistern Nine Below Zero mit ihrer Musik Blues-Enthusiasten auf der ganzen Welt. Nicht nur aber auch deshalb hat die Band eine der treuesten und aktivsten Fangemeinden überhaupt. Während 1977 das Vereinigte Königreich dem Punk verfallen war, beschlossen Dennis Greaves (guitar) und Mark Feltham( vocals, mouth harp) eine Bluesrock Band zu gründen, was sich als Glücksfall für die Musiker und das Publikum erweisen sollte. Die stimmige Mischung aus Pubrock und Bluesrock begeisterte Publikum wie Kritiker gleichermaßen. Gleich ihr erstes Album „Live At The Marquee” schlug ein wie eine Bombe. Bereits auf diesem finden sich spätere Klassiker wie „Homework”, „Keep On Knocking” und „Ridin’ On The L&N”. In hohem Tempo ging es weiter, Auftritte mit „The Who” und „Dr. Feelgood” sind mindestens ebenso erinnerungswürdig wie die Langspieler der Band. In den 80ern nahmen die Künstler eine schöpferische Auszeit, um dann 1990 einen fulminanten Neustart hinzulegen. Dass NBZ bis heute immer noch mit Virtuosität, großartigen Songs und vor allem riesiger Spielfreude zu begeistern wissen, beweisen sie auf dieser DoppelCD, die während des Abschlusskonzertes der "A to Z"- Tour 2015 im KultBahnhof in Gifhorn aufgenommen wurde. Sie ist Teil einer Live-Kollektion, die von Sireena Records in Kooperation mit ON STAGE präsentiert und kontinuierlich erweitert wird. For almost 40 years now, Nine Below Zero have been providing Blues-enthusiasts around the whole world with their amazing music. But this is not the only reason for the fact that this band has one of the most faithful and active fan communities ever. While the United Kingdom in 1977 was enthralled by Punk, Dennis Graeves and Mark Feltham decided to found a Blues Band which probed to be a lucky decision for musicians and audience alike. Their first album “Live At The Marquee” was already a huge success. It featured songs that later would turn out as classics, such as “Homework”, “Keep On Knocking” and “Ridin’ On The L&N”. They continued at high speed, performances with “The Who” and “Dr. Feelgood” are just as memorable as the long-playing records of the band. 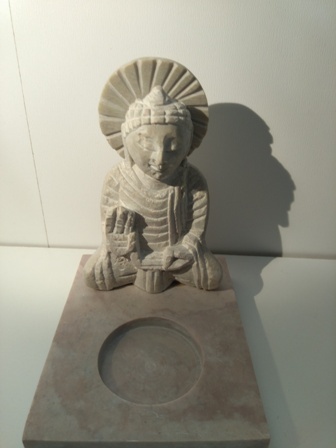 In the eighties, the artists took a creative break only in order to have a fulminant fresh start in 1990. That NBZ can still amaze their fans with virtuosity, great songs and most of all fun while performing - they show that on this 2-CD that was recorded during their final concert of the „A to Z Tour” 2015 at the KultBahnhof in Gifhorn, Germany. This 2-CD is the first part of a live-series, that is presented and will be continuously extended by Sireena Records in cooperation with ON STAGE.